The Phillies, despite their current run for a playoff spot, cannot fill empty seats. The fans of Philadelphia spoke last week, in an emphatic way. They are not going to spend their money on a boring baseball team, pennant race or no pennant race. 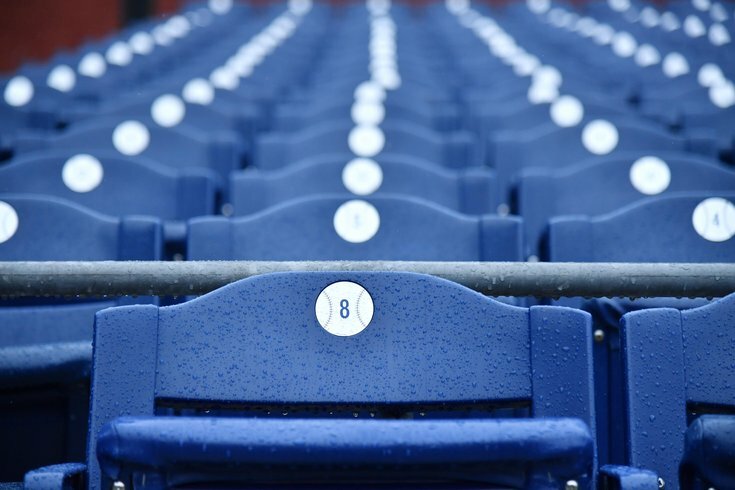 For two straight nights at Citizens Bank Park, the empty seats outnumbered the filled ones. In a city that prioritizes winning like no other, the fans were presenting an indictment of analytics beyond anything critics (like me) could ever provide. Last Tuesday night, two Cy Young candidates, Aaron Nola and Max Scherzer, were facing each other on a hot, cloudless night. Exactly 21,083 customers paid to see it. The other 21,952 empty seats made the loudest statement that night. The Phillies are challenging for a playoff spot for the first time in six years, with a bevy of new players and a charismatic manager. With a sad turnout of 21,261 the previous night (and only 22,525 for the rubber game on Wednesday night), the fans said no, thank you. There have been plenty of entirely plausible reasons for the pitiful attendance in those games last week against NL East rival Washington. It was oppressively humid, the kids are now required to go back to school the week before Labor Day, and the team had been slumping in the weeks before those games. Still, under similar circumstances during the great Phillies run of 2006-11, the idea of crowds that small was unthinkable. The team sold out all 43,035 seats in 257 regular-season games – three full seasons, not including the playoffs. Has interest in the Phillies really declined that fast? Yes, it has. And the real reason for this free-fall is the way they play the game. Finding a team of hitters who value walks over hits, long counts over action, is killing interest not just in the Phillies but also in baseball. Our fans have no desire to watch men play catch for three and a half hours on a hot summer night. It’s that simple. Soon, the Phillies will be facing a dilemma like none any of our sports teams has every confronted. What’s more important, winning or entertaining the fans? In the past, winning has always been a cure-all for all attendance issues, but clearly now it isn’t. The rules have changed, thanks to analytics. If a team is winning and no one is watching, what exactly is it winning? •	The Sixers are a hilarious organization, headed by laughable owner Joshua Harris, who appears only now, 88 days after Bryan Colangelo departed, to be seeking a general manager. Word leaked out over the weekend that Harris has sought permission to speak to three nondescript front-office types – a full two months after his farcical attempt to sign Houston GM Daryl Morey. Meanwhile, he promoted five people within the Sixers organization last week, preempting the power of the new GM – if the owner ever actually hires one. Joshua Harris should have his own sitcom. •	The sublime world of analytics took a sharp turn into absurdity on Saturday night, when Phillies reliever Austin Davis retired to the back of the mound and consulted an index card to prepare for the next Cubs batter. Umpire Joe West, who never misses a chance to call attention to himself, immediately demanded the crib note and ordered Davis to pitch without it. West said, in 40 years of umpiring, he had never seen such a thing. Welcome to the new age of baseball, Joe. And get used to it. •	Even on a championship team, Mychal Kendricks was an enigma, a veteran linebacker valued much higher by fans enthralled with his athleticism than the coaches on the Eagles. When he finally departed as a free agent last winter, one of his first acts after joining the Cleveland Browns was to criticize his former team. Now he’s out of football, having confessed to a bizarre insider-trading scheme last week. Mychal Kendricks will forever be regarded as one of Philadelphia’s strangest sports figures. •	As terrible as the Eagles have looked this preseason, one team has been even worse – the Cowboys. Dallas lost all four practice games, despite using more of their top players – including quarterback Dak Prescott – than the Eagles did. The Boys averaged less than 11 points per game. Do preseason results mean anything? In Dallas’ case, let’s hope so. •	Cris Collinsworth actually had the audacity last week to say “I love the Eagles” after tainting the biggest game of our lives as fans with a one-sided, obnoxious performance as an NBC analyst on Super Bowl LII. He did finally admit he was wrong to say Zach Ertz didn’t score a touchdown on a play near the goal line, but he still believes Corey Clement didn’t deserve the call on a TD in the back of the end zone. Sorry, Cris. You may love the Eagles, but Eagles fans will never love you.